Robin Feldman is the Harry & Lillian Hastings Professor and Director of the Institute for Innovation Law at the University of California Hastings. She received a B.A. from Stanford University, graduating Phi Beta Kappa, and a J.D. from Stanford Law School, graduating the Order of the Coif and receiving the Urban A. Sontheimer Award for graduating second in the class. After graduation, Professor Feldman clerked for The Honorable Joseph Sneed of the U.S. Court of Appeals for the Ninth Circuit. Professor Feldman has published dozens of articles in law reviews including at Harvard, Yale, and Stanford, as well as in the American Economic Review and the New England Journal of Medicine. 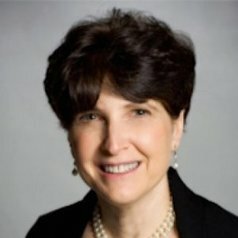 Her most recent books are Drug Wars: How Big Pharma Raises Prices and Keeps Generics Off the Market (Cambridge) and Rethinking Patent Law (Harvard). Professor Feldman’s empirical work has been cited by the White House, as well as in reports from the GAO, the Congressional Research Service, and other federal agencies. She has appeared before committees of the US House and Senate, the Federal Trade Commission, the Department of Justice, the Patent & Trademark Office, the National Academy of Sciences, and various committees of the California legislature. In addition to her teaching, Professor Feldman runs the University of California Hastings Startup Legal Garage, in which students do corporate and IP work for early-stage tech and biotech companies. Startup Legal Garage has been named one of the most innovative law school programs in the country, and Professor Feldman has been named one of the Women Leaders in Technology Law. In 2012, she was elected to the American Law Institute where she serves as an advisor to the ALI’s Restatement of Copyright project.